With Tesla’s Gigafactory apparently now set to end up far larger than was originally reported, others in the race towards dominance of the lithium-ion battery industry are apparently unwilling to keep silent either, based on recent comments from the head of Bosch Japan. 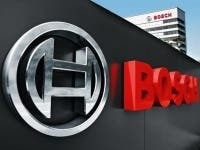 Bosch and its partner GS Yuasa are apparently now “on a good path” towards the production of a lithium-ion battery with two-times the energy density for half the cost — with the aim being for production to begin by 2020, according to Bosch Japan President Udo Wolz. 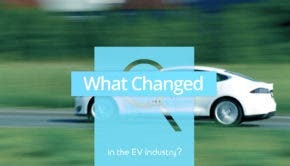 The news — coming to us via a report from Automotive News Europe — concerns the joint venture between Bosch and GS Yuasa known as Lithium Energy and Power GmbH & Company KG. The joint venture is based out of Stuttgart, and was formed relatively recently — back in November 2013. The ownership split for the venture is: Bosch holds a 50% stake, GS Yuasa International holds a 25% stake, and Mitsubishi Corporation holds a 25% stake. If production does end up beginning before 2020, that likely still puts the joint venture (and the companies involved) a fair bit behind Tesla (and perhaps others). Considering that the lithium-ion battery sector is expected to explode by then (with regard to sales growth, that is), this will perhaps not have any bearing on success with regard to sales. By the way, if you haven’t read the story alluded to above concerning the Gigafactory potentially being much larger than was previously thought, you should give it a read — it’s very interesting. For those without the time, here’s the shorthand: according to Story County official Dean Haymore, Tesla is currently planning to build 7 “blocks,” with the Gigafactory currently under construction representing just one of the 7!